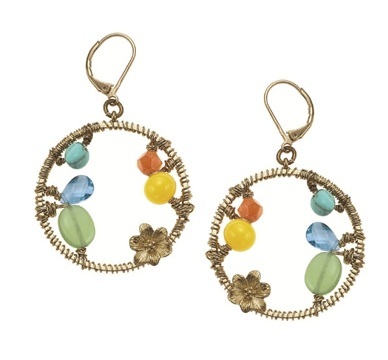 This is a wonderfully intricate and feminine series, featuring floral motifs amongst wire wrapped discs and hoops and a tactile array of glass, faceted crystals and semi-precious stones. The attention to detail is just amazing, these pieces are made to last! 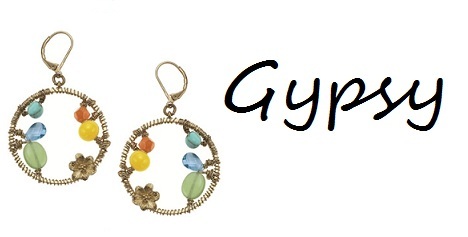 Gold plated with yellow, green, orange, blue, turquoise and purples. 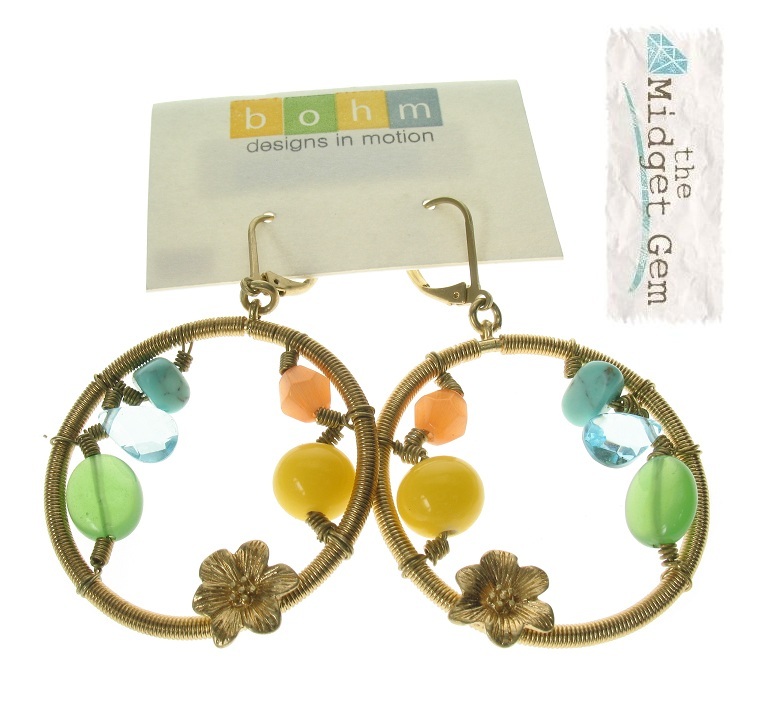 Wire-wrapped hoops with a pretty selection of glass and semi-precious stones. The earrings are not heavy, the hoop measures 3.7cm/37mm. Total length 6cm/60mm. French clip fastener for pierced ears. Gold plate/yellow, green, blue, orange & turquoise. This is a such a beautiful and wearable necklace, which isn't at all bulky. The focal section comprises various discs, that is a fluid so it sits well around the neck. The various discs (2cm/20mm up to 3.8cm/38mm) are decorated with wire-wrapping, raised floral motifs, and a pretty selection of glass and semi-precious stones. The focal is 7.5cm/75mm in length at the front, it is attached to a double curb chain (2mm thickness) and measures 17.25 inches/44cm to an adjustable 20.25 inches/51cm. 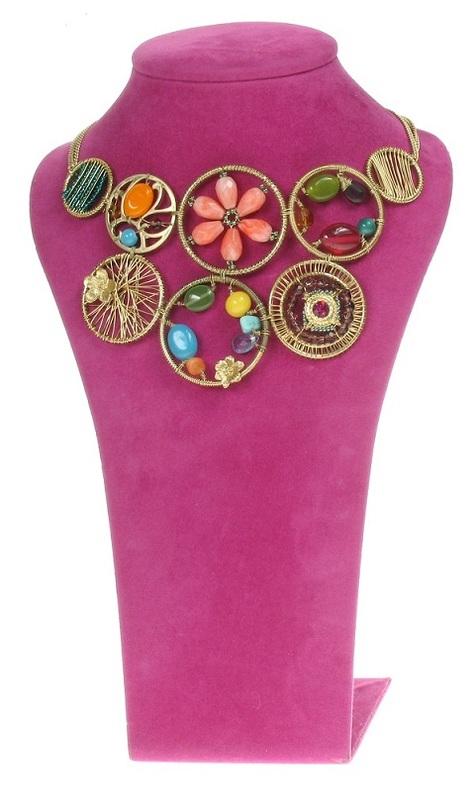 Gold plate/yellow, green, blue, orange, coral, cerise pink, purple, teal & turquoise. 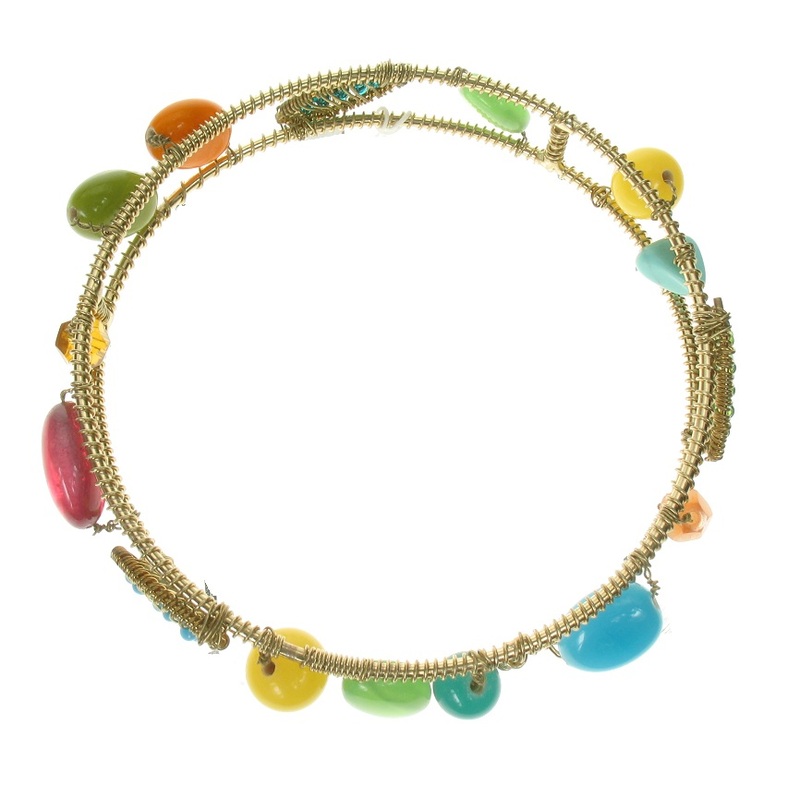 Wire-wrapped double bangle, with a pretty selection of glass and semi-precious stones. The bangle's inner circumference is 8 inches/20cm. 1.2cm/12mm wide. Gold plate/yellow, green, blue, orange & turquoise.